The worlds only Robot Magic Show! Winner of Sweden's Got Talent Charlie Caper in a sci-fi magic show with Robots. 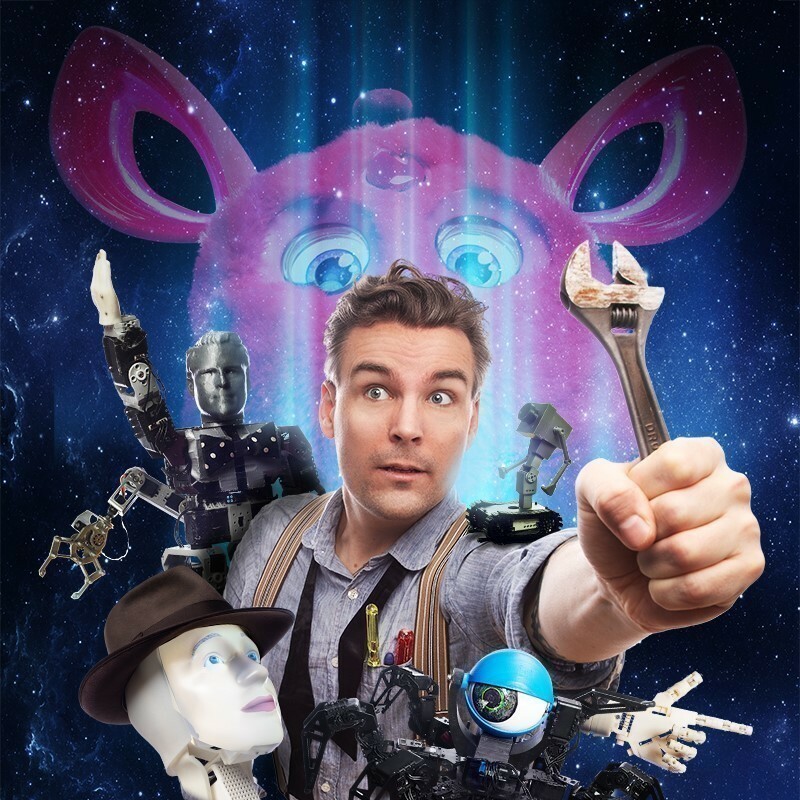 Robotricks just won the Weekly Cabaret Award at Fringe World and gets rave reviews! Featuring a large cast of AI robots, advanced technology indistinguishable from magic! . If you love sci-fi, magic, Rick Morty or Blade Runner this show is for you! Charlie's last show Minor Miracles (with Malin Nilsson) was cherished by Adelaide and Robotricks is the result of years of love, sweat and soldering.